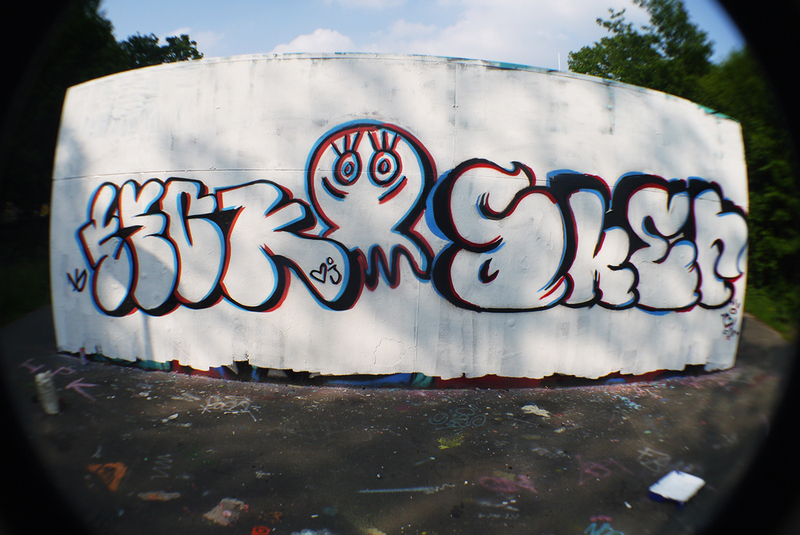 A new piece today together with Aker, at Zuiderpark Den Haag. Together with my girl we went off to the Zuiderpark, it was a bit of a struggle to find the HOF at first, but.. Made a new friend there, and dropped a nice new concept piece. About the piece, I wanted to do something like the distorted piece in Alphen from last March, but a little less simple. 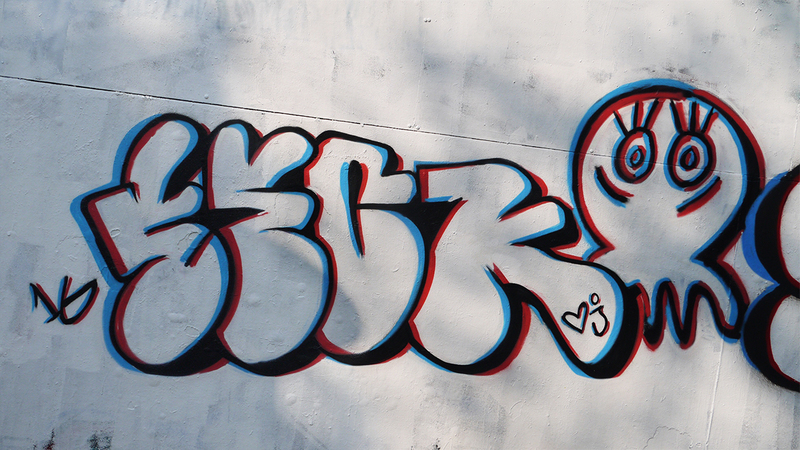 I didn't want to make it too complicated, thats why I tried a throw up style. 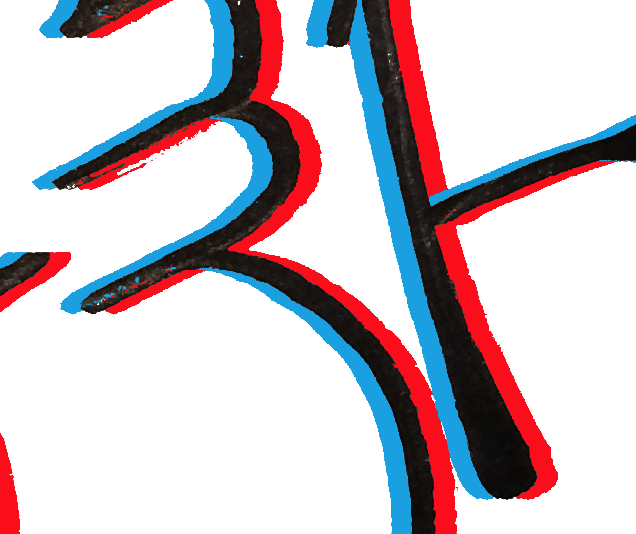 I took a picture of the sketch, took it to photoshop and 'shifted' it with a blue and red side. I tried to recreate those lines pictured above as perfectly as possible, but even without perfect executed lines the effect is nicely visible from a distance. More on the details and other pictures below. Detail on the Zuiderpark works. nicee,can you help me with which one to start with first?you started with black right?